How much influence should technocrats wield in a democracy? That’s the question former Bank of England Deputy Governor Paul Tucker attempts to answer in “Unelected Power”. His reply is thoughtful and robust but might end up drowned out by fractious politics or another downturn. Traders watch the news conference held by European Central Bank (ECB) President Mario Draghi, during a trading session at the Frankfurt stock exchange January 22, 2015. 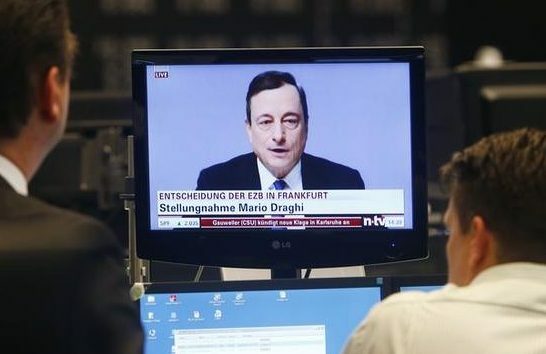 The European Central Bank agreed on Thursday to embark on a quantitative easing (QE) programme that will see it print money to buy up 60 billion euros worth of sovereign bonds from March until the end of September next year. “Unelected Power: The Quest for Legitimacy in Central Banking and the Regulatory State”, by Paul Tucker, is published by Princeton University Press on May 16.